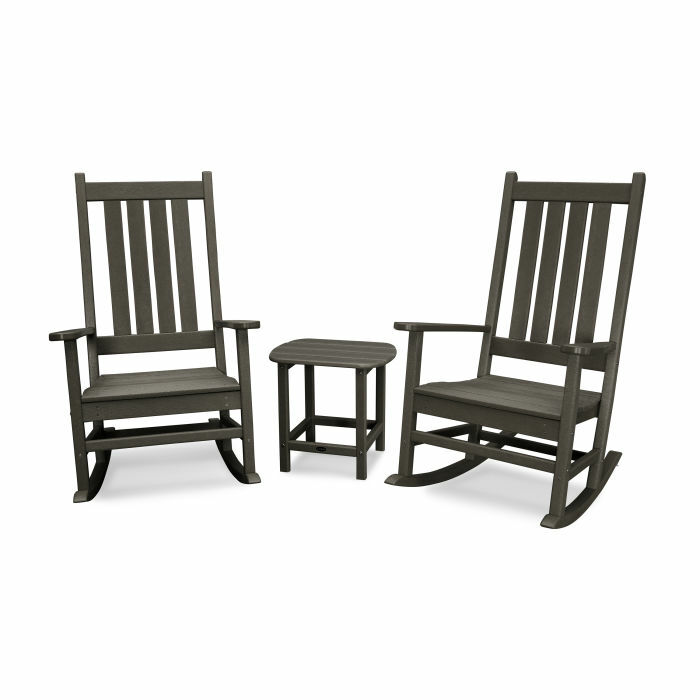 Create a quiet retreat on your porch or patio with the Vineyard 3-Piece Rocking Chair Set. Create a quiet retreat on your porch or patio with the Vineyard 3-Piece Rocking Chair Set. With a traditional look and comfortably curved seat, this all-weather rocking chair pairs perfectly with the South Beach 18" Side Table and looks great in any outdoor space.